Shares of Swire Properties are at an all time high in Hong Kong trading after the company released its 2018 final results. In an analyst briefing, Swire CEO Guy Bradley appeared to be positive about the company’s investments in Miami. “I think we’re in the right place, certainly the right city,’ he said, referring to a recent Forbes article calling Brickell one of the fastest growing destinations in the US. “Miami is a very good emerging story,” he added. Retail sales at Brickell City Centre “are looking very satisfactory for now,” Bradley said. Sales volume at Brickell City Centre was up 153% in 2018, although it was coming off a very low base, according to Bradley. 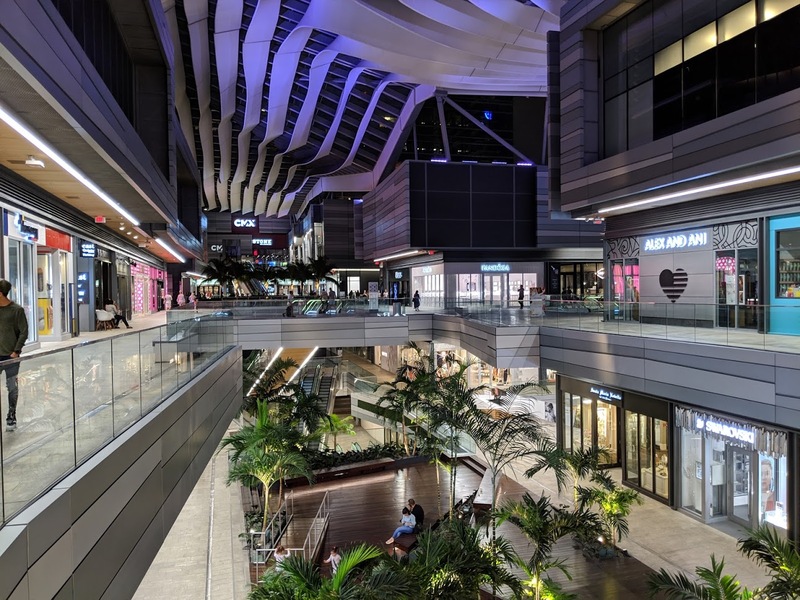 Overall, Swire’s gross rental income in the U.S. doubled, thanks to more shops being open in the mall last year. Both the Mandarin Oriental on Brickell Key and East Hotel at Brickell City Centre saw improved results in 2018, Swire said. In its forecast, the company sees steady growth in retail sales and demand for retail space in Miami. Demand for Grade A office space in Miami is also firm, with low supply available, Swire says. The condominium side hasn’t improved, Bradley said. The market continues to be “pretty slow,” a function of the economies in South America, according to Bradley. “For that market to pick up, we really need Brazil to come back, and one or two other economies down there, and then we’ll be rolling again in Miami,” he added. The 80-story One Brickell City Centre is listed as a future project planned in the most recent annual report, but doesn’t appear to be budgeted for yet by the cash-rich company in its list of upcoming capital commitments. For Miami to take the next step, the condo market must be driven by increased employment in Miami that supports people living in projects like One Miami, not be contingent on the Brazilian economy. A lot of the condos around Brickell are bought by people from Latin American economies and then rented out to locals (LIKE ME!). Housing density is still housing density, every new building builds a stronger base for retail, restaurants, and more density of workers that incentivizes companies to pick Brickell when they’re assessing office space options. Incorrect. A LOT of condos purchased by foreigners are vacant and do nothing to help local businesses. What we need, since the condo market is already beyond oversaturated, is to continue to build more market-rate apartments and workforce housing. Can’t disagree more. Condos are not vacant, they just aren’t owner occupied. The issue with local businesses is that all the new condos are asking ridiculous rents. We will be destined to chain restaurants, cvs/walgreens or cellular stores… What we need is market rate retail so businesses can thrive organically. In order for market rate residential to be built, supply must catch up with demand (and it is doing that but slowly). As long as traffic remains as chokingly bad as it would in any city of this size with no hope of a good mass transit system, then everyone will want to live closer in. So it’s going to take a while for that much demand to get met in the center of the city. And without looser regulation, developers aren’t going to want to build anything as expensive as it is to build in Miami without selling it for what they need to, in order to make a profit. So don’t expect too much more than lux buildings except maybe lux microunits for rich prepies that wann pay $1500+ to live in a glorified walk-in-closet in Wynwood. Another person stuck in the previous housing bubble, very few units are vacant and most are rented or even air bnb. Then build an office tower, asap! What about those afraid to cross the street or a railroad track? Or haters of public roads and bridges for cars? Kind of unrelated but I’d really love to see a poll of an industry breakdown of who reads this site. Ie. % of people in brokerage, development, private equity, architecture etc. Me too. I’m on the Construction side over here. I would love it if the FAA and those in City government responsible for reviewing and issuing building permits read this forum. Sign me up for both groups! Don’t forget the – we need more parks – people. Don’t forget automobile haters, Miami Beach connector lovers, bike lane crazies and condo haters. Also the people who want a Metromover stop to see Abuela in Westchester. Swire CEO Guy Bradley appeared to be positive about the company’s investments in Miami. “I think we’re in the right place, certainly the right city,’ he said, referring to a recent Forbes article calling Brickell one of the fastest growing destinations in the US. It was a little overpriced at $30, but had a good time none the less. People, let’s be realistic – Swire’s condo market will not pick up until we get MORE CLIMATE RIBBON. Appart from Tacology and Pubbely sushi nobody makes money in this place not even Apple. Doing 150% increase from almost nothing is still very close to nothing. Why do you think they still haven’t leased the best spots which are in the corners on SW 8st! Rent are super high, retail is down this year, Lincoln road is down 30 to 40% what do you think is going to happen to BCC this year?!? Won’t be good! Stop lying please, numbers are not good, rent are too high and tenants are not happy! That’s cause I can’t buy what Tacology and Pubbely are selling on Amazon! Stop competing with Amazon and you might start to get some of our sales lol. Take a page from Restaurants, theaters and HomeDepot/Lowes playbook… sell “Amazon proof” things (experiences, movies, extremely perishable food, heavy lumber and hardware, etc…) To compete against Jeff Bezos is the very definition of going out of business quickly! Regarding the planned supertall, is that a chicken clucking, or just Swire ?